The Treasury has clawed back more than £300 million in funding from the Department for Education’s budget after money paid into the apprenticeship levy went unspent, Schools Week can reveal. School leaders today lamented the fact that the cash – a proportion of which will have been paid in by schools that then struggled to find a use for it – won’t be used to address financial pressures in the school system. Since April 2017, all employers with an annual payroll of more than £3 million, including local authorities and academy trusts, have had to pay an annual 0.5 per cent apprenticeship levy charge. The money goes into a central government training pot and can then be withdrawn by employers to pay for training. Last month the academies minister Lord Agnew warned that the DfE had underspent its levy budget by £400 million in the 2017-18 financial year, but said the Treasury was making a “portion” of that underspend available for future programmes. But during a webinar hosted by Nick Linford, editor of Schools Week’s sister paper FE Week, Keith Smith, apprenticeships director at the Education and Skills Funding Agency, revealed the Treasury has clawed back more than £300 million from the DfE’s levy pot. However, the DfE this week refused to confirm the exact amount. “It’s absolutely right that funding that was not used in a particular year isn’t just held on to, but that of course does not mean that we are not committed to setting out the plans that we actually need to continue to deliver a high quality programme,” said Smith. 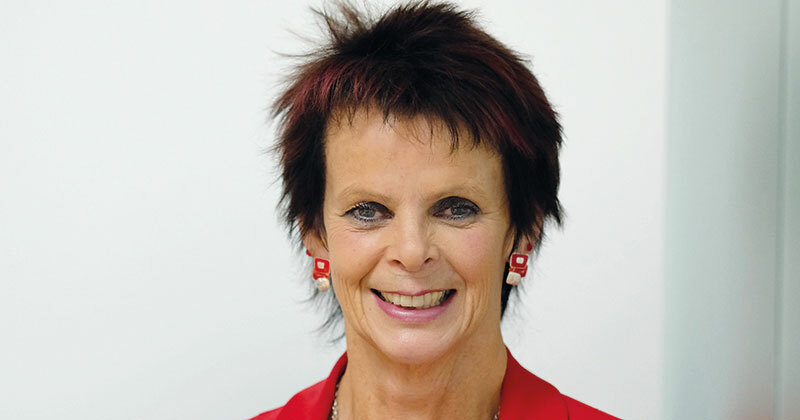 Anne Milton, the skills minister, said the message to employers had been that “the money was there if they wanted to spend it”. “I guess if money is left unspent by employers, if we say ‘here is the money, please spend it’, then the Treasury is going to come and take it,” she said. Schools are thought to have paid more than £225 million into the levy since its launch in 2017. Some academy trusts are understood to have access to levy pots of over £1 million each. However, schools have struggled to find ways to use the funding, amid concerns about the lack of available courses specific to the education sector. Last month, teacher development charity Ambition Institute said it was in talks with the government about developing more education specific apprenticeship standards. It follows years of debate about the possibility of an undergraduate teaching apprenticeship, but the idea of a route into teaching for non-graduates is currently opposed by unions and ministers. Julia Harnden, funding specialist at the Association of School and College Leaders, said it would have “made sense” to redirect the £300 million underspend back to schools to “help alleviate at least some of the financial pressure”. “Given that the apprenticeship levy has an educational purpose, it would surely have been reasonable to spend this money in the education sector,” she said. Employers have 24 months to spend the money they pay into the levy. If it has not been spent or transferred after two years, they lose access to the money. In March, Smith told the public accounts committee that employers are expected to lose around £12 million next month, or nine per cent of what they paid in April 2017. However, the Institute for Apprenticeships has warned of an imminent apprenticeship overspend, which could reach £500 million in 2018-19 and rise to £1.5 billion by 2020-21. Additional reporting by Jessica Fino.